In this post, I will show you How to Unlock Screen without Power button in Android. Wake up Android without power button using an android app. Yes! there is an Android App available which can help to wake up android without power button. Android is the world’s largest operating system used by millions of people across the world. There were lots of application is available on Google Play store which can make your Android Experience better and full of convenience. But how can you find which application you needed the most if you don’t know anything about it? Here we’re discussing How to Unlock Screen without Power button in Android. We can’t imagine any life without a Smartphone and a normal person presses his power button 300-400 times in a day and this is not good for your device power button. I am a Professional Blogger, I have press power button 1500-2000 times in a day, So friends you tell me why do I press my lovely smartphone’s power button. And make damaged by pressing thousands of times if I am having an application which can provide me a feature to do screen turned on/off without touching Android Phone. There is Much Application available on google play store for the wake up android without power button by sensors like shake lock, this application allows you to turn off the screen by shaking and you need to install any other application for turning the screen on as well. Having 2 application for the screen on/off, it’s not a good idea because it can create complications for you and it consumes the high amount of RAM because 2 apps will run on your Smartphone. There is only one application can fulfill your all needs, you’re just one step away from know about the application and how it works? 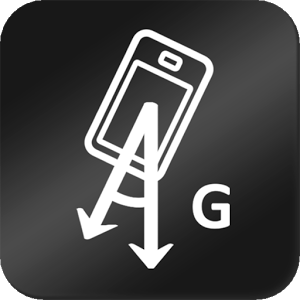 Gravity sensor is an android application allows you to turn the screen on/off by sensors and no need to press the power button again and again. This is a very nice application, According to me, this is the one and only one of the best application. Even I am also using this application having such a good feature and the best thing is this is a free application. This application has consisted of main 5 features and you need to understand how to use it and also check some other features in more setting. You need to understand briefly about every feature it’s been confusing sometimes that’s why you need to understand and after this, you can use this application like a pro. The pocket sensor has consisted of two features. This feature Turn your device off when your phone is in your pocket in any direction. In this feature, the proximity sensor will be used and it turns the screen off with 1.5s delay. In other words, This feature turn screen off your phone automatically when is in your pocket. This feature wants the unlocked version you can’t get access to this feature because Unlock version directly means for the paid version and don’t worry about it that you are not getting this features because this feature is working only in Landscape mode. I have purchased unlock version for giving you complete information about this application but honestly purchasing Unlock version is a waste of money because this application already provides all main features in free version. Detects your phone is lying on a table. By turning your phone downward below your phone will set to screen off. Lying face up feature turn off your phone when phone face lying up. In my words, this features only turn the screen off by lying downward and face lying up of your device. You can turn screen ON or OFF by enable these two features and use according to your convenience by using the proximity sensor which is placed on top of your phone. By enabling this feature your screen will turn ON when your phone is in Motion state. Suppose your phone is on a table, and this feature is already enabled so you don’t need to do anything for turning ON the screen. When you get up your phone it will be in motion state then automatically your device screen will turn ON. When your device in motion your screen OFF time automatically extend by picking up small movements and while you’re holding your phone upward it suspects you’re using your phone and it keeps screen ON.